This summer I have been carving out some time for adventure. I have had the pleasure of two awesome float trips down some beautiful backyard rivers of Oregon. One of these trips in particular was an 8 hour float with 4 friends. I learned a few things about river culture that day. About the way that you become a crew, make decisions, share the load. 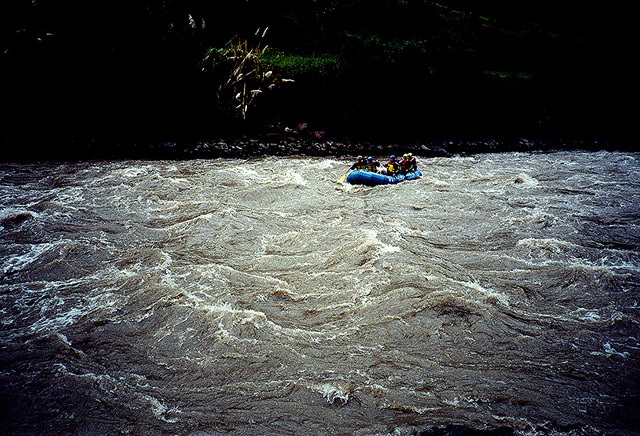 The day was mixed with gentle gliding and all hands on deck kind of rapids. Whenever the waters were turbulent and surprising, a yell from the back of the boat would ring through : DIG IN ! We would all get in sync, paddling, complete focus on each stroke. There was clarity in the rhythm, in the sharp shift of attention, in the bright blue sky over head and canyon walls all around. Days later, I could still hear the words circling in my ears: DIG IN. Part of me wished that throughout my day, when I would find myself tuned out, distracted, lost in thought or off track that the voice would yell again: DIG IN. I have started using this as a nudge to stay awake. To remain engaged with my life and my health. It is always easier to fall back to sleep, to run, to be rigid or get swallowed in fear. There is always a choice for less resistance. There is a Buddhist saying that has brought me clarity and I want to share it with you. In case it is new, please try not to take offense, remembering that it is only direct. It is sharp and huge, it is like the big blue sky that it there waiting for us to look up. I am fortunate in my work as a functional nutritionist to witness people waking up, sometimes from years or decades of feeling ill, out of balance, disempowered and disoriented. Many patients are struggling in a healthcare system that does not have time or care for the complexities of root cause medicine. I work with patient’s to DIG IN, to navigate their story and craft a plan forward. I am a fortunate witness. To participate and watch people’s capacity to be who they want to be, well and untethered to pain and discomfort. People seem to find me in two states. Sometimes people find me knowing that things can be different, that there was a time when health and feeling well was a daily tangibility. Sometimes people find me feeling hopeless or very far from a time that they can remember thriving. Both of these contain a breakthrough waiting to POP. And when they do, there is no holding back. They realize the extreme importance of everyday, of every opportunity. We each have so much power to transform our health, to gain some ease, to thrive.